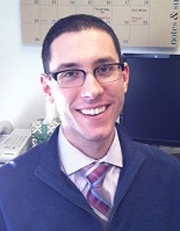 Christopher Segall (PhD, City University of New York) is Assistant Professor of Music Theory. His research focuses on twentieth-century Russian music, Russian music theory, and neo-Riemannian theory. Secondary research interests include classical form and post-2000 popular music. His articles appear in various theory and musicology journals, and he has presented papers at international, national, and regional conferences. In 2009 he received the Patricia Carpenter Emerging Scholar Award from the Music Theory Society of New York State. Professor Segall holds degrees from the City University of New York Graduate Center (PhD, Music Theory), University of Toronto (BMus, Music Theory), and Royal Conservatory of Music (ARCT, Piano Performance, First Class Honors with Distinction). He joined the faculty at CCM in 2013, having previously taught at the University of Alabama and the City College of New York. For a full listing of publications, presentations, professional activity, and graduate courses, visit Professor Segall’s personal site: http://homepages.uc.edu/~segallcr.